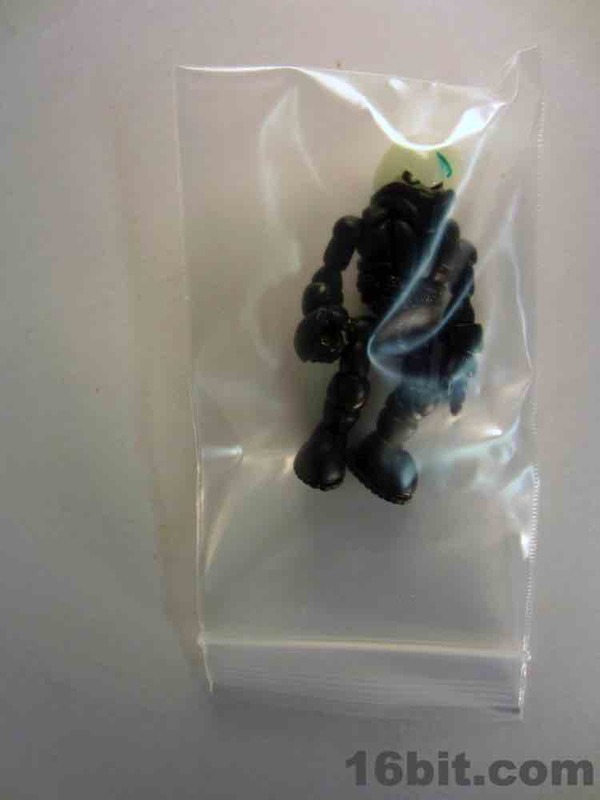 Roughly 2 3/4-inches tall, this release is made of mostly classic Pheyden parts but you'll recognize upper torso piece as being from Sarvos, which means he actually has a backpack hole if you're so inclined. Most photos of the character show him with a gun arm accessory (sold separately), but the figure is still pretty good as it is. 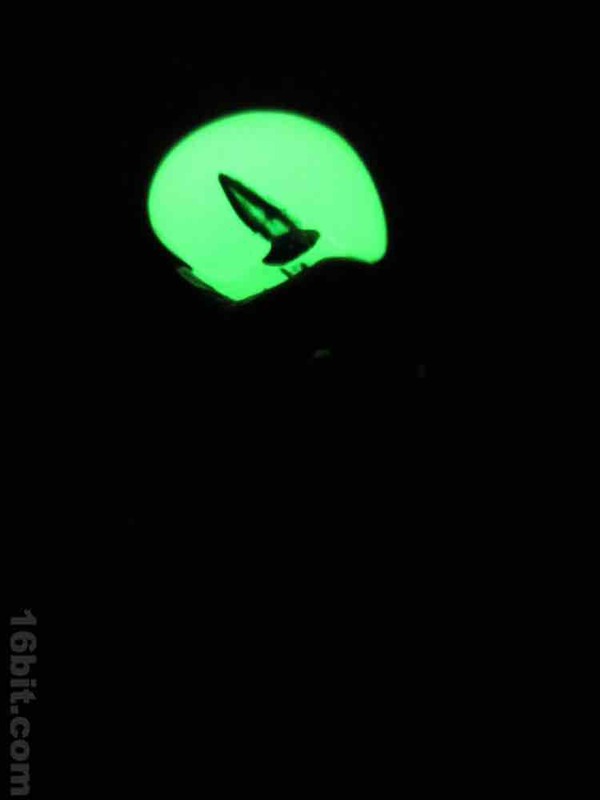 The black body is a standard in this line, showing up again every year or so. 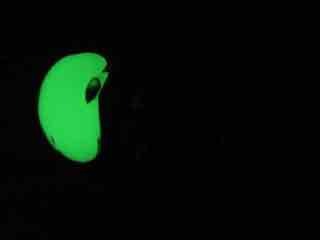 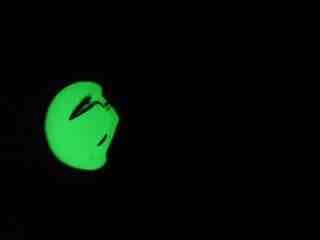 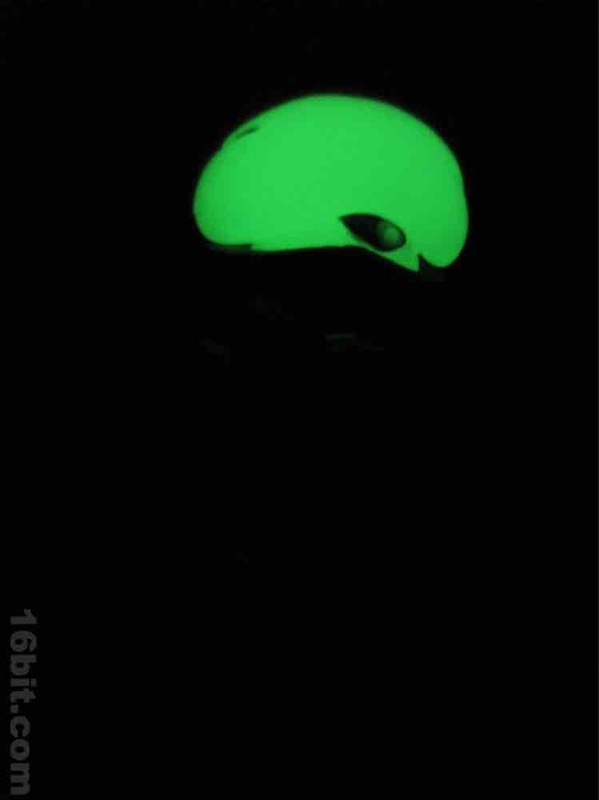 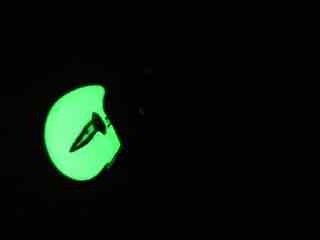 What makes it unusual is a glow-in-the-dark head, specifically the Scar Pheyden noggin with a fair amount of paint. 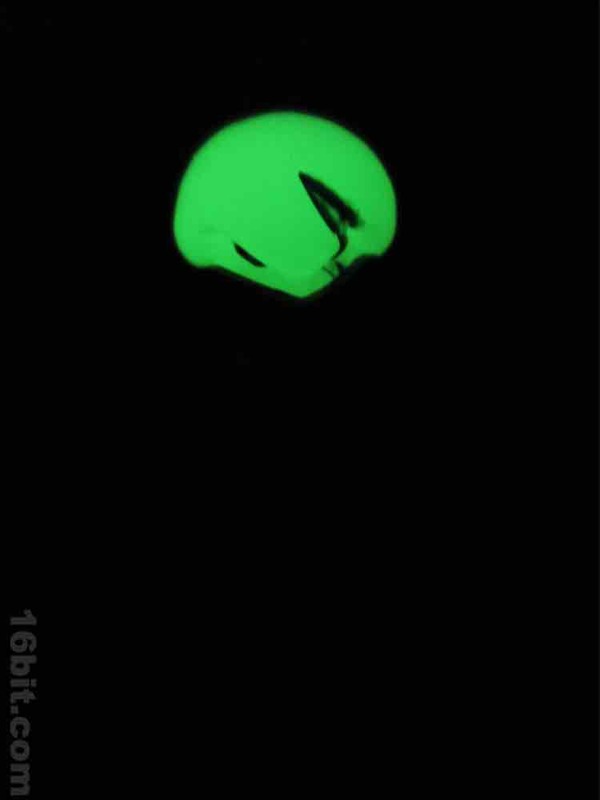 If you take off the head and look under the scarf, you'll see the scars are green, the eyes are black and black/white/green, and there's a painted neck too. 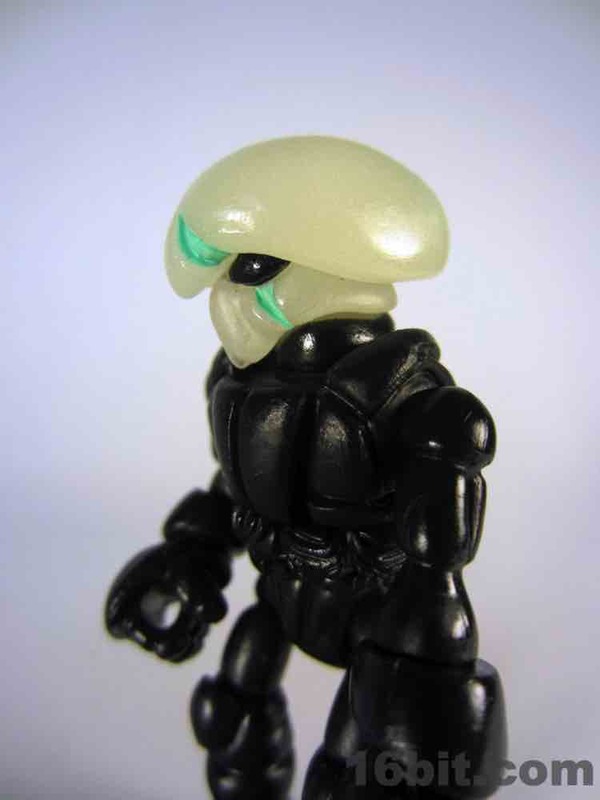 The black paint on the lower part of the neck should be a great way to identify bogus versions of this figure, because scarves were available without Hades Pheyden, but only Hades Pheyden MK II seems to have a glow-in-the-dark head with a black painted neck from what I've seen so far. 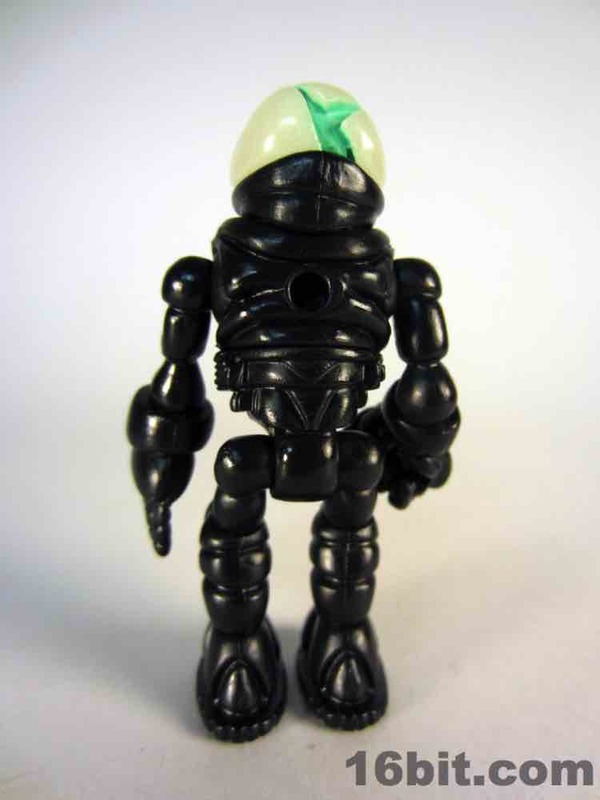 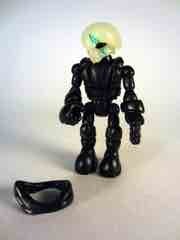 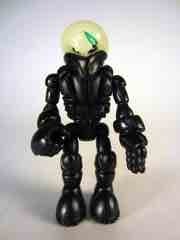 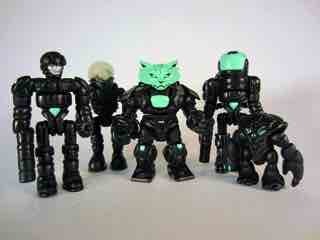 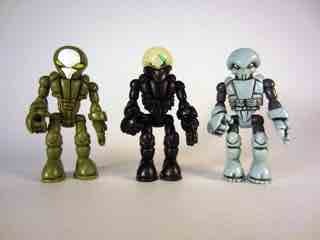 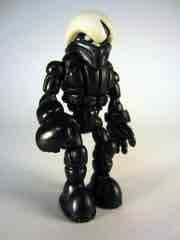 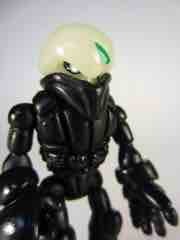 Glyos fans will recognize this figure as being par for the course in terms of articulation. 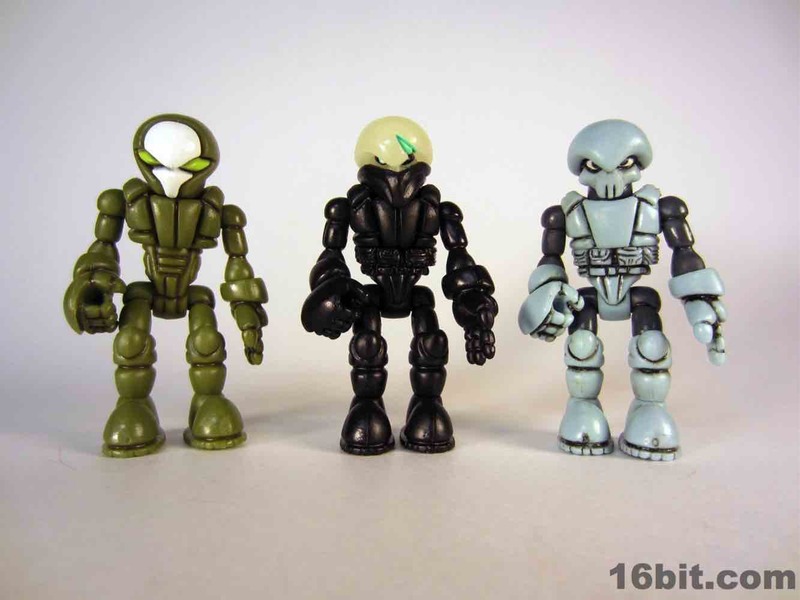 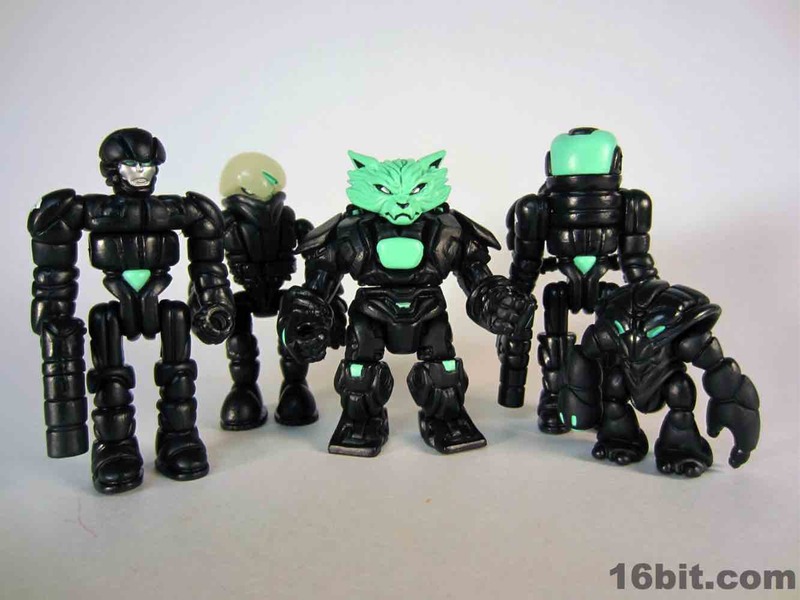 With Glyos joints, the figure has 12 points of articulation and his pieces can be popped off and swapped with other Glyos figures. 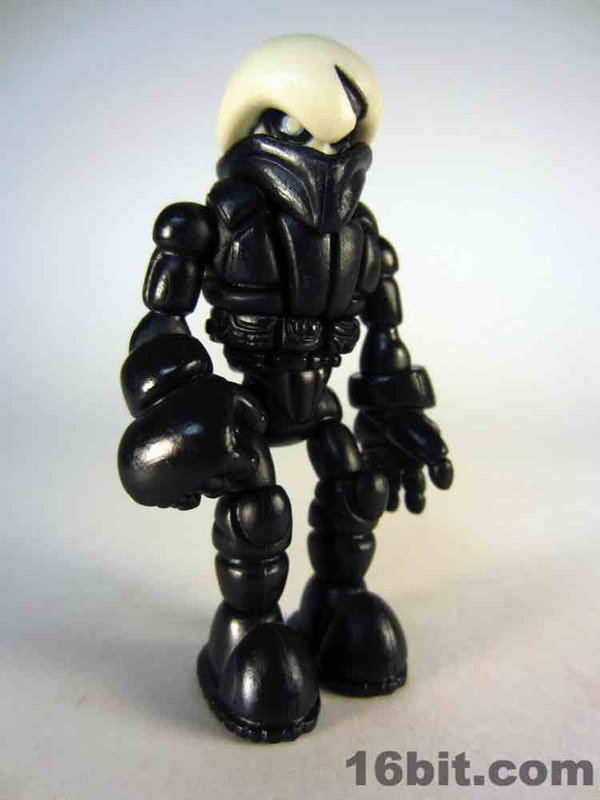 You can also give him a gun arm if you're so inclined.